Rob’s Denture Studio provides a variety of services to meet several patient needs. At Rob’s Denture Studio, we offer free consultations so you can meet our staff, determine your specific denture needs, and learn what to expect throughout the process, all without the pressure to purchase dentures the same day. Following the consultation, we can schedule your subsequent appointments according to your schedule. We can send in a preauthorization to your insurance company so that the patient can see what they are covered for before starting any work. For patients who have lost all or most of their teeth due to decay or advanced gum disease, complete dentures from Rob’s Denture Studio replaces all of the teeth with fitted dentures. The process begins by extracting the remaining teeth. Then, the patient decides if they want to let their gums heal completely and then place in the permanent dentures or if they would like immediate dentures placed until their permanent dentures are ready. We ensure a unique fit by measuring all areas of the gums and jaw, and your dentures are created in our lab. Next, you come in to receive the dentures, along with a fitting and adjustment. 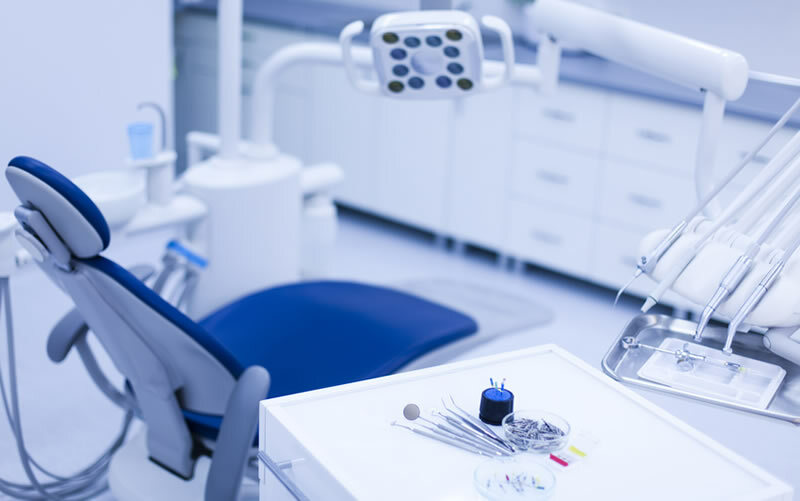 Our denturists will go over care instructions in detail, including cleaning and when you should remove your dentures, along with any problems that could occur and what you should do. Rob’s Denture Studio also provides denture repairs to fix cracked, chipped, or slightly worn dentures. There are two basic types of repairs: simple repairs and repairs with impressions. The denturist will need to see the denture to determine the extent of the repair required or if the denture can be repaired. Simple repairs involve filling in, sealing, or reshaping dentures without making contact with your gums. Repairs with impressions require an impression of your gum to be made to ensure accurate repairs. We also offer partial dentures to replace one, a few, or only the top or bottom rows of teeth. This may be the solution for you if you have a few or some teeth that are damaged or decayed. The patient&apos;s dentist will extract the teeth that is to be replaced. We offer cast metal, flexible, and acrylic partial dentures. Cast metal is stronger, less bulky, and offers a great fit—they have a metal framework that attaches to high quality denture teeth. Flexible dentures are made from special material that provides added comfort and fit. Finally, acrylic partial dentures are more affordable, but may be more bulky—they have an acrylic base which denture teeth are set into and are attached to your natural teeth with metal clasps. Rob’s Denture Studio Ltd. also creates mouth guards on site. These are vacuum-formed for an accurate fit and protect your gums and remaining teeth while you sleep and don’t have your dentures in, or if you are participating in activities where impact with your dentures could occur. We create these mouth guards to fit your specific needs. Over time, dentures can get misaligned from changes in the jaw and gums or a sudden impact to your jaw. Rob’s Denture Studio offers denture relines to adjust the fit and alignment of your dentures so that everything is straight and secure. Many times, this service can be completed the same day in one brief appointment. We also offer a type dentures called a lower implant retained denture. Dentures are held securely in place with implants, offering improvement over traditional removable dentures. You can now smile with confidence!